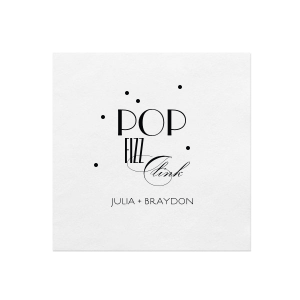 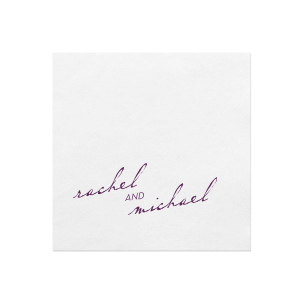 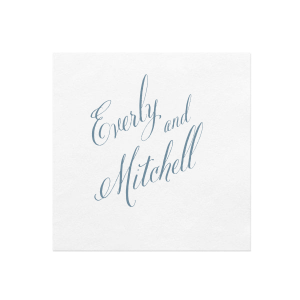 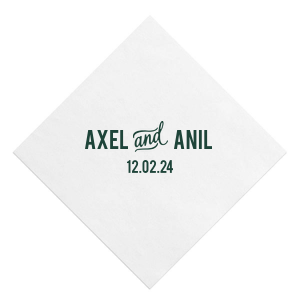 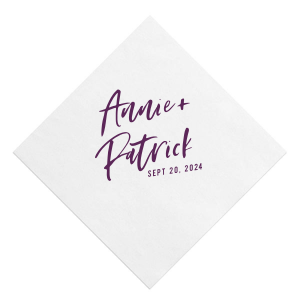 Create custom single color ink printed cocktail napkins for your wedding or party. 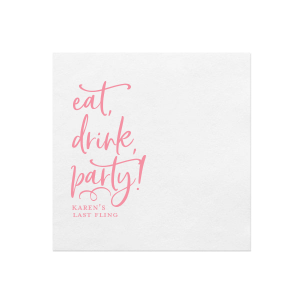 Perfect for signature drinks and appetizers! 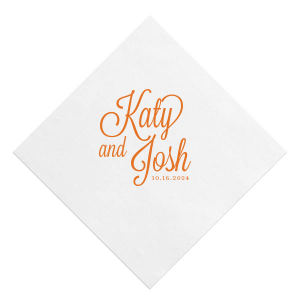 Custom printed ink napkins from FYP are a more affordable alternative to our specialty foil napkins. 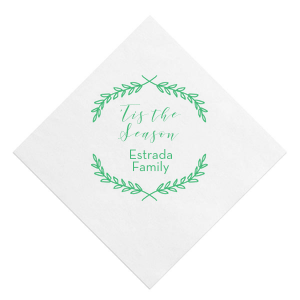 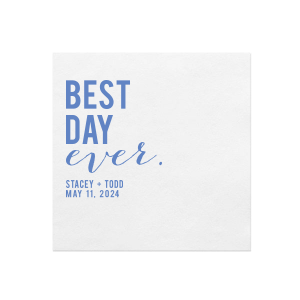 A top-quality ink printed napkin, you'll find this personalized napkin option ideal for your special occasions, as well as bulk custom napkin needs like restaurant napkins and logo napkins for company events. 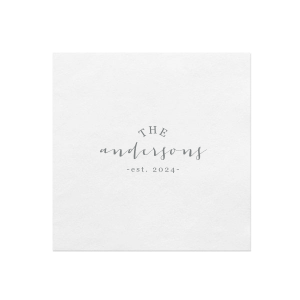 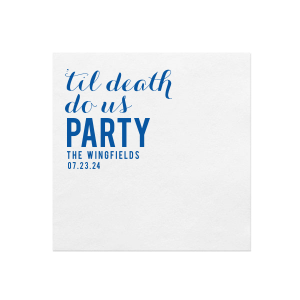 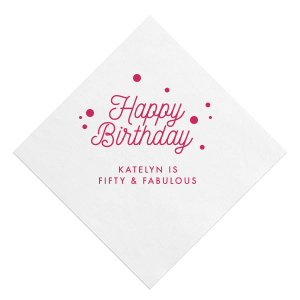 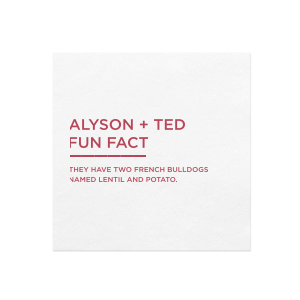 You got it, here at For Your Party you can order personalized ink printed napkins. 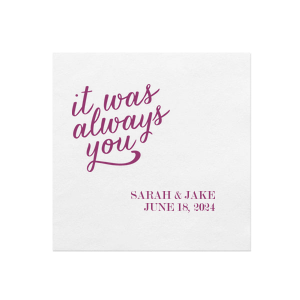 Cleanly printed in an ink color from our library of quick ink colors, these are both top-quality and affordable custom napkins. 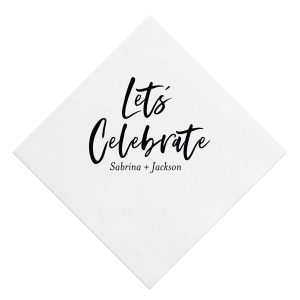 Available in our white 3-ply napkins with an embossed edge, you can create your personalized cocktail napkins for any event! 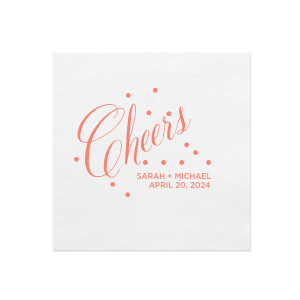 Add an intricate wedding crest or wedding logo to create an intimate cocktail hour at your wedding reception. 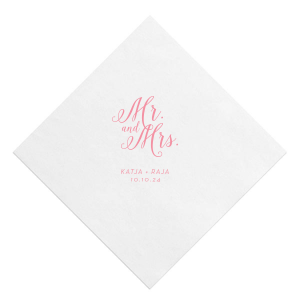 Or, finish off the dessert table with your cute wedding napkins! 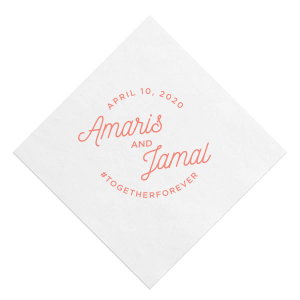 Details are what bring your theme together, so don't let your budget stop you from having the day of your dreams! 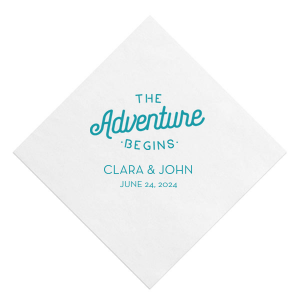 For Your Party quick print napkins are a budget friendly wedding idea that is easy to do and will be much appreciated by you and guests! 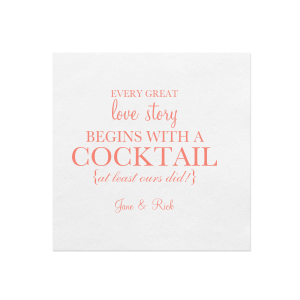 Not just wedding worthy, our inexpensive custom printed cocktail napkins will also look great at any event. 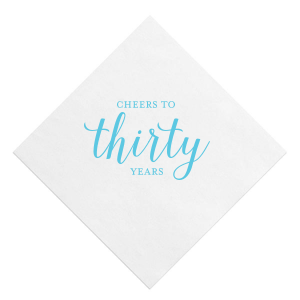 Choose a single ink color and design that will enhance your party offerings at a birthday party, engagement party, or any other celebration. 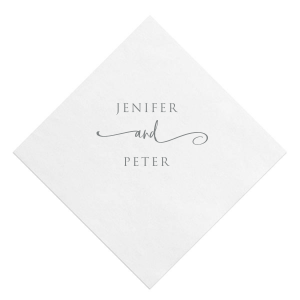 An inexpensive napkin option, these printed napkins also make a fantastic restaurant napkin and printed logo napkin to represent your business at conferences, work events and for restaurant use. 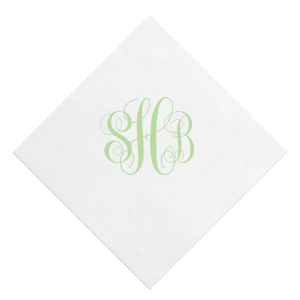 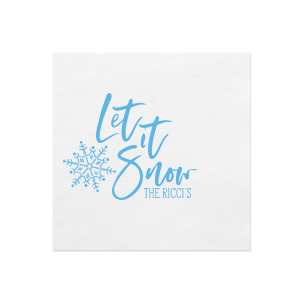 Order your quick ink printed napkins today!